This February, to-be-brides have a reason to smile! 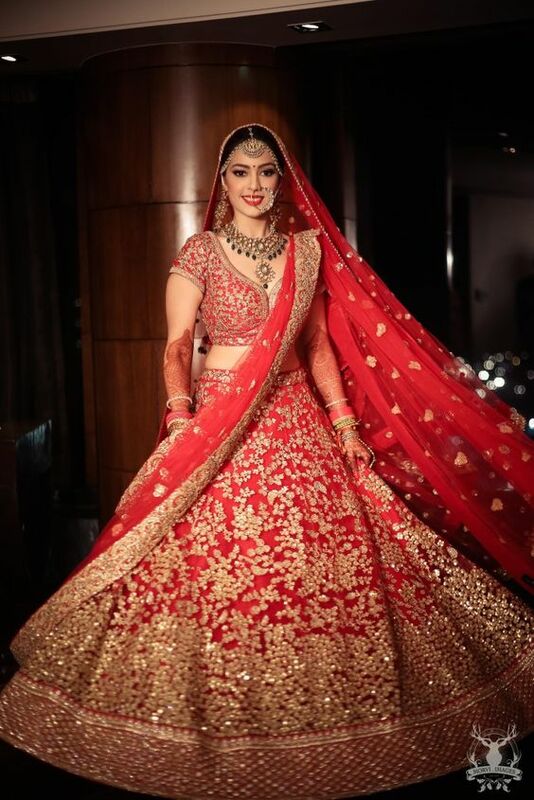 We bring to you best of the best designer bridal lehengas to get inspired from! It is truly said that the Indian bride looks her best in Indian bridal wear, and she commands attention from all when she’s styled right. Keeping that in mind, the month of love is the month of February. Colors that we would mostly see are pinks, reds, greens, violets, creamy florals, purples, burgundy and blues- epitomizing the season of romance, the season of blossom and the season of Indian weddings. 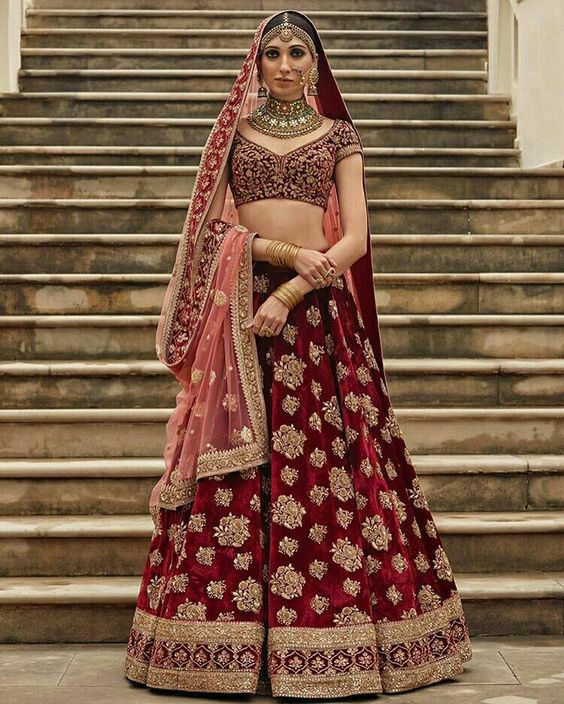 If you still haven’t picked up that gorgeous bridal trousseau– a lehenga or a saree, we are here to show you a couple of gorgeous designer bridal lehengas and sarees for February weddings- check them out! 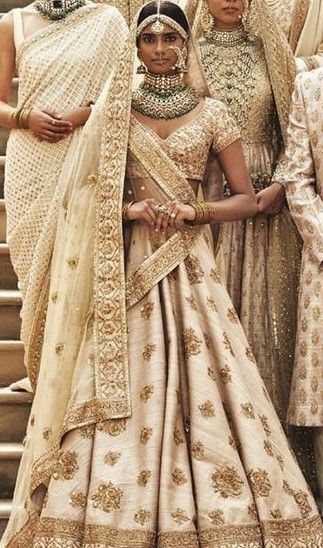 Sabyasachi, the maestro with Indian bridal wear seems to strike the right chord with would-be Indian brides, each time he sits with his team to sew and curate bridal wear. 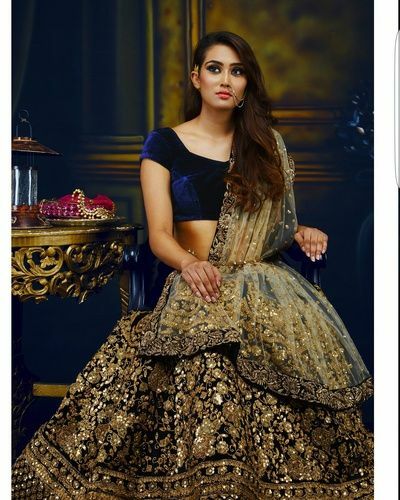 No wonder we want to wear his creations at the first given notice; comes as no surprise- a couple of designer lehengas to show you are below- feast your eyes! The nine yards to wear is a delight, and especially if it is your wedding. Here are a couple of bridal sarees to take inspiration from; courtesy the maestro himself, Tarun Tahiliani! Take a look at the intricate styles and designs; where tradition meets the needs of the modern bride. Where art meets the soul of the new-age fashionable Indian lady! Tarun knows how to amalgamate the two and come up with unique touches. Ritu speaks to the soul of the Indian bride, and as they say, it takes one to understand the other- Ritu never disappoints the excited bride when she walks into her care to get the right styling done for the wedding. Here are a couple of sarees by the ace designer herself, which makes the Indian bride nothing less than a queen at her own wedding. The boss himself has spoken; he knows what the Indian bride demands for in this day and age, and as a true soul, he never disappoints his lady. A couple of gorgeous lehengas by the boss himself, check out these beautiful lehengas by Rohit Bal. Mesmerized, are you? So are we! Which of these gorgeous twenty-two designer lehengas and sarees would you want to pick and wear for your pre-marriage rituals and for the D-Day? Jitters galore, isn’t it? you should get in touch with your wedding stylist now and decide on the look for the heavenly spring dreamy wedding look you want to flaunt on your big day! Do write in and let us know which of these lehengas and sarees spoke to your soul the most!